Faculty within the school often collaborate with community partners by providing research assistance that addresses specific needs, informs best practices, and shapes evidenced-based policies. 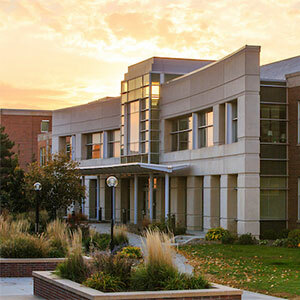 The School also houses the Nebraska Center for Justice Research and the Juvenile Justice Institute, which receive some of their funding from the state of Nebraska to provide research support for projects related to important topics to the Legislature. Below is a partial list and brief description of projects with community partners conducted within the School. Projects are listed by the year funding was awarded, dating back to 2014. For more information about a particular project, please contact the principal investigator for the relevant project. Principal Investigator(s) Anne Hobbs, Ph.D. This projects entails a collaboration for the development and training on a statewide juvenile justice data collection system for 250 program and services funded under Nebraska’s Community Based Juvenile Services Aid Fund. The project includes conducting program evaluation and recidivism studies of selected community-based aid funded programs. This service learning project matches undergraduate mentors from four college campuses to youth re-entering to their community after commitment in a Youth Rehabilitation and Treatment Center. At any given moment, in communities across the globe, people from different sectors are working together to respond to complex social problems. We developed a tool to help measure why some collaborations are more successful than others. The tool empirically tests the interconnection and intensity of Collective Impact domains across various collaboratives. This project involves collaborating with the Nebraska Juvenile Detention Alternative Task Force to examine how juvenile detention is currently utilized in Lancaster County. Principal Investigator(s) Lindsey Wylie, Ph.D, Anne Hobbs, Ph.D.
For this project, the Juvenile Justice Institute will work collaboratively with Legal Aid of Nebraska to empirically examine the impact of civil legal services, mentoring, and reentry planning provided by the Juvenile Reentry Project to youth who are reentering the community after an out-of-home placement. The Juvenile Justice Institute will collaborate with Legal Aid on all elements of conducting, assigning, recruiting, researching, and sharing the evaluation goals and objectives. The initiative currently provides civil legal services to youth, however, The Juvenile Justice Institute will work with the program to randomly assign mentors to youth legal aid works with. The outcomes of youth assigned a mentor will be tested to examine whether youth with mentors have improved outcomes as compared to youth who did not receive a mentor. Principal Investigator(s) Lindsey Wylie, J.D., Ph.D. The purpose of this study is to investigate the effect of procedural justice on juvenile diversion outcomes. Employing measures of perceived procedural justice, coercion, social control, and stigmatization, the current research will extend previous research to test whether these constructs are related to program completion and 6-month recidivism. Principal Investigator(s) Marijana Kotlaja, M.A., & Lindsey Wylie, J.D., Ph.D. This study examines the stigmatizing effects of electronic monitors (EM) among youth currently enrolled in an EM program. Within the context of these theoretical explanations for stereotype confirmation, the proposed research will examine how the salience of EM affects criminological cognitions and whether being on EM has contributed to any unintended negative consequences for youth. This project involves an evaluation of the city of Omaha’s efforts resulting from funding provided from Project Safe Neighborhoods, which is a nationwide commitment to reduce gun and gang crime in America by networking existing local programs that target gun and gang crime and providing these programs with additional tools necessary to be successful. Principal investigator(s): Benjamin Steiner, Ph.D., Emily Wright, Ph.D., Ryan Spohn, Ph.D. This project will involve assisting with the design and evaluation of assessment and case management services being implemented at the Douglas County Detention Center. The new screening assessment will focus on identifying the risk and criminogenic needs of individuals booked into the detention center, while the case management services will provide individuals with ongoing reentry case management and referrals to services offered in the detention center and the community that are designed to address the needs identified by the assessment. The ultimate goal of the project is to reduce the rate of recidivism among individuals placed in the detention center. Principle investigator(s): Ryan Spohn, Ph.D., Emily Wright, Ph.D. The project consists of three components. First, the researchers will conduct a needs assessment to gather data on the prevalence of risk factors for juvenile justice system involvement in Douglas County, NE, and compare the levels of risk to comparable metropolitan areas. Next, the researchers will conduct a situational analysis that addresses issues such as the nature and extent of risk factors, causes of risk factors, and current efforts to address each risk factor. Finally, the research team will develop a comprehensive investment strategy for the funders in addressing juvenile justice involvement as a significant social problem. Principle investigator(s): Ryan Spohn, Ph.D., Roni Reiter-Palmon, Ph.D., Joseph Allen, Ph.D. This evaluation project includes the early stages of evaluation of the Defy Ventures program for inmate reentry. Research activities include interviews of key stakeholders to clearly identify learning goals, definitions of program success, intermediate program goals and long-term program goals. The research team will also conduct a theory of change events to develop a program theory for the Defy Ventures program. Finally, the researchers will develop an evaluation plan to guide a full process and outcome evaluation of the Defy Ventures program as implemented in Nebraska Department of Correctional Services correctional facilities. Principle investigator(s): Ryan Spohn, Ph.D. The Nebraska Office of Health Disparities and Health Equity oversees Minority Health Initiative projects by community-based health organizations to support projects that address the development and/or enhancement of health services to eliminate health disparities that impact racial/ethnic minority populations in Nebraska. Projects must demonstrate cultural competence in their design and focus on obesity, cardiovascular disease, infant mortality, diabetes, or asthma. NCJR serves as the external evaluator for the MHI projects in Colfax and Platte counties. This project involves the continuing evaluation of the Douglas County Operation Youth Success collective impact initiative, which is intended to facilitate juvenile justice system change. The evaluation specifically focuses on identifying how the five components of collective impact are being created/implemented, assessments of mindset shifts, and determination and examination of system change with respect to juvenile justice processes and structures. This project involves and evaluation of the Completely KIDS program at Liberty Elementary to determine its relationship with youth program outcomes. The evaluation focuses on the relationship between programming dosage and youth outcomes such as math scores, reading scores, and truancy. This evaluation of the Nebraska Children and Families Foundation’s Connected Youth Initiative is being conducted in partnership with the WestEd Justice and Prevention Research Center. The Nebraska Children and Families Foundation’s Connected Youth Initiative is an effort to help unconnected youth in 40 rural counties of Nebraska become contributing, independent citizens. Unconnected youth are defined as young people between 14-24 who are currently or have been in the Nebraska foster care system, have had contact with the child protective services, have had contact with the juvenile justice system, or are homeless or near homeless. This study involves an evaluation of the Transformation Project, a program that facilitates prisoners in developing a foundation for learning and motivation to change through a process of self-reflection and goal setting. Based on the life and teachings of Malcolm X, the project aims to reduce recidivism, encourage positive inmate behavior, and promote positive behavior in the community upon reentry. Principal investigators: Emily Wright, Ph.D., Ryan Spohn, Ph.D. This project will assess the state of Alternatives to Detention (ATD) in Douglas County. The researchers will develop a Theory of Change to provide a roadmap for how ATDs will be implemented to result in best outcomes for Douglas County youth. The evaluation will also produce a “map” of available ATDs and compare it to the needs identified by system stakeholders in order to determine need for increased capacity of existing ATDs, as well as new types of ATDs that could benefit Douglas County youth. This project involves conducting a developmental evaluation of the Douglas County Operation Youth Success collective impact initiative, which is intended to facilitate juvenile justice system change. The evaluation specifically focuses on identifying how the five components of collective impact are being created/implemented, assessments of mindset shifts, and determination and examination of system change with respect to juvenile justice processes and structures. This project involves an evaluation of eight vocational and life skills reentry programs across the state for the Nebraska Department of Correctional Services who distributed funds allocated for reentry programs through LB907. The evaluation will include measurements related to employment, vocational training, and recidivism. In addition, surveys and interviews will be used to measure behavioral and attitudinal changes in participants. Principle investigator(s): Anne Hobbs, Ph.D., Ryan Spohn, Ph.D. This project involved a collaborative effort between UNO’s Juvenile Justice Institute, UNO’s Nebraska Center for Justice Research, and the Nebraska Crime Commission to develop a three-year strategic plan for the Byrne Justice Assistance Grant program. Activities included interactive meetings with stakeholders, an online survey, and interviews to obtain feedback and data for developing a 3-year plan to guide the distribution of Byrne Justice Assistance Grant dollars in the state of Nebraska. Principle investigator(s): Anne Hobbs, Ph.D. The Juvenile Reentry Mentoring Program is a service learning project that seeks to assist youth transitioning back to the community from a detention or rehabilitation center. The program matches university student mentors with youth in detention or treatment facilities. The long-term goals of the project are to prepare students for a career in the criminal justice field and reduce recidivism among youth returning to the community from a rehabilitation and treatment center. This project involves working in conjunction with the Nebraska Juvenile Detention Alternatives Initiative, to assist Sarpy and Otoe counties with data collection and analysis. 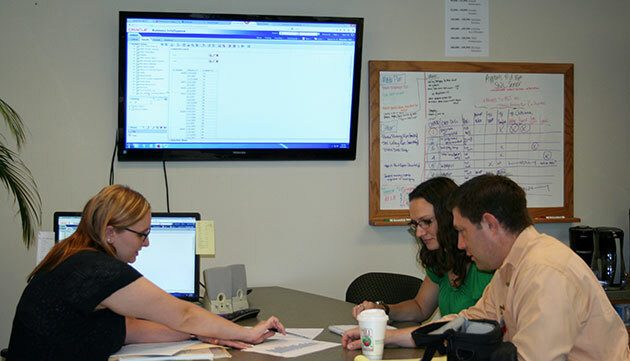 A graduate student works closely with the person responsible for data collection to ensure they are able to accurately merge their data with the JDAl QRS Excel spreadsheets and other reporting requirements. JJI is working with the Crime Commission to ensure that they meet the federal requirements required to access federal STOP Violence Against Women Act dollars. The Juvenile Justice Institute prepared surveys and conducted focus groups across Nebraska to inform the priorities and to ensure that underserved communities receive services in Nebraska. This project involves working in conjunction with the Nebraska Crime Commission in developing definitions and measurement of what it means to be evidence based in Nebraska. The researchers will also assist with creation of a longitudinal dataset and codebook to measure recidivism for Nebraska juvenile justice programs, and conduct analysis of which programs for juvenile are effective at reducing recidivism. Training and on-site visits to programs funded by Nebraska’s Community Based Aid will also be provided to ensure compliance with data collection. This project involves conducting a developmental evaluation of the Douglas County Operation Youth Success collective impact initiative which is intended to facilitate juvenile justice system change. The evaluation specifically focuses on identifying how the five components of collective impact are being created/implemented, assessments of mindset shifts, and determination and examination of system change with respect to juvenile justice processes and structures. Principle investigator(s): Ryan Spohn, Ph.D., Benjamin Steiner, Ph.D., Lisa Sample, Ph.D. This study involves validating elements of static and dynamic risk assessments currently in use by the Nebraska Department of Correctional Services. The study also involves conducting focus groups with parole officers to assess officers’ perceptions regarding the applicability and ease of use of the assessment instruments. The Nebraska Center for Justice Research continues to expand Transformation Project, a program that facilitates prisoners in developing a foundation for learning and motivation to change through a process of self-reflection and goal setting. Based on the life and teachings of Malcolm X, the project aims to reduce recidivism, encourage positive inmate behavior, and promote positive behavior in the community upon reentry. This study involves an assessment of the state of drug use among Washington County middle and high school students, what programs existed to address drug use, and what programming the LiveWise Coalition could provide in this county to augment already existing resources. The LiveWise Coalition is a non-profit organization funded through Region 6 Behavioral Health with a mission of addressing drug use among middle and high school students. It provides money to schools for anti-drug education, is responsible for pill drop boxes in pharmacies in Omaha, conducts town hall meetings with parents, and presents information at health fairs. This project involved assessing if the LiveWise Coalition had met its strategic goals for the 2014-15 academic year. The Douglas County jail was awarded a grant from the National Institute of Justice to plan prisoner reentry programming for those in the county jail or in the day reporting center. This project involved examining whether Douglas County created a strategic plan for delivering programming in jail and had met all the goals set out in such for 2014-15. Principle investigator(s): Lisa Sample, Ph.D. This study was an outcome evaluation of the Youth Build Program offered through Good Will Industries. The program teaches trade and leadership skills to high school drop-outs through building projects for Habitat for Humanity. It also offers GED schooling. Principle investigator(s): Emily Wright, Ph.D., Benjamin Steiner, Ph.D. This project involves partnering with the Nebraska Crime Commission to complete Nebraska’s Victim Assistance Strategic Plan. The strategic plan will identify statewide priorities and gaps in services for all types of crime victims. This project involves assisting Sarpy County with data collection and analysis regarding Juvenile Detention Alternatives (JDAl), meeting monthly reviewing data collection under the county’s JDAI. Ensuring they are able to accurately merge their Excel spreadsheets with the JDAl QRS Excel spreadsheets. Assist in analyzing and narrate JDAl quarterly reports. Working closely with Sarpy County JDAl representatives to interpret the data in preparation for meetings. JJI is examining and analyzing the use of the Nebraska Risk Assessment Instrument, specifically consistency in decision making, youth and public safety outcomes and impact on disproportionate minority confinement. This study involves informing the Commission on the Three –Year Comprehensive Juvenile Justice and Delinquency Prevention Plan (2015- 2018). The Juvenile Justice Institute prepared surveys and conducted focus groups across Nebraska to inform the priorities for the three-year Comprehensive Juvenile Services Plan. This project involves providing training sessions for juvenile justice community planning teams across the state. Topics include collective impact, team formation and collaboration, data, priority and strategy development, and individualized plan assistance. The Juvenile Reentry project is a service learning project that supplies community-based mentors for youth reentering Lancaster County from detention facilities. Mentors assist youth with transitioning back to the community, with the ultimate goal of reducing recidivism. This project will evaluate the Crossover Youth Practice Model (CYPM) that has been implemented in Douglas County, NE. The CYPM is designed to enhance collaboration and decision-making between juvenile justice system (JJS) and child welfare system (CWS) personnel in order to better serve dually-involved or “crossover” youth enmeshed in both systems. The CYPM consists of a collaboration between the JJS, the CWS, the Douglas County Attorney’s Office, the NE Department of Health and Human Services, Omaha schools, Omaha child advocacy centers, Nebraska juvenile probation, Nebraska Families Collaborative, the Juvenile Assessment Center (JAC), Boys Town, the Douglas County Youth Center, and the youth’s family in order to provide enhanced diversion services to these youth in an integrated fashion and prevent them from penetrating further into either the JJS or the CWS. This project involves an assessment of: 1) the victimization experiences (i.e., assault, sexual assault, intimate partner violence, and stalking) of students enrolled at the University of Nebraska at Omaha (UNO); and, 2) the students’ awareness or involvement in UNO’s Green Dot violence prevention program. Principal investigator: Anne Hobbs, Ph.D., J.D. This project involves assisting the Nebraska Crime Commission in developing a classification and measurement system for juvenile justice programs to define what it means to be evidence based in Nebraska. The Drug Free Community Program is intended to strengthen collaboration in the community to reduce substance abuse among youth. This project includes a process evaluation that determines the degree to which 11 schools create a substance abuse education program, an implementation evaluation that monitors the continued installation of program components, and an outcome evaluation that highlights changes in students’ and parents’ knowledge and attitudes about drug use and its consequences. This project involves an evaluation of the city of Omaha’s efforts resulting from funding provided from Project Safe Neighborhoods, which is a nationwide commitment to reduce gun and gang crime in America by networking existing local programs that target gun and gang crime and providing these programs with additional tools necessary to be successful. The 2014 funding is being used to hire new federal and state prosecutors, support investigators, provide training, distribute gun lock safety kits, deter juvenile gun crime, and develop and promote community outreach efforts as well as to support other gun and gang violence reduction strategies. Principal investigator: Ryan Spohn, Ph.D. This project involves coordination of the implementation and evaluation of the Transformation Project, a program that facilitates prisoner re-entry by developing a foundation for learning and motivation through a process of self-reflection and goal setting. Based on the life of Malcom X, the Transformation Project allows inmates to identify their own values, attitudes, and behaviors that they believe will help them succeed. In doing so, the project aims to 1) promote positive inmate behavior, 2) promote positive behavior in the community upon reentry, and 3) reduce recidivism. This project involves providing training and technical assistance for sub-grantees recipients of federal justice funding programs (e.g., developing performance measures). This project involves a strengths-based assessment to assist the Nebraska Coalition of Juvenile Justice (NCJJ) with the implementation of large-scale policy and practice changes in the Nebraska juvenile justice system. Principal investigator: Candice Batton, Ph.D. This project involves the assignment of an advanced doctoral student to the Nebraska Department of Correctional Services for the purpose of providing the Department with research support. Specific research topics are defined by the command staff of the Nebraska Department of Correctional Services. This project involves the assignment of an advanced doctoral student to the Nebraska Department of Health and Human Services for the purpose of providing the Department with research support. Specific research topics are defined by the command staff of the Nebraska Department of Health and Human Services. This course pairs a student intern with a rural juvenile justice agency. Students learn about program evaluation and have the opportunity to do program evaluation work with their agency. The course culminates in a student presentation.